Work with Seasoned Industry Professionals. Maia Internet Consulting is an Online Digital Agency that has been creating Websites and working with Online Marketing since 2001. Our team has a vast knowledge of experience in the website design and web marketing industry. We believe that websites should be functional, easy to navigate and search engine friendly. We are WordPress specialists and build websites and blogs for small business owners, hospitality companies and non-profit organizations. Visit LodgingSites, a division of Maia Consulting, specializing in business consulting, marketing and WordPress websites for the hospitality industry. We become an extension of your business. Our Project Managers work with you to meet all your online marketing goals and care about your success. Our products and services have been customized specifically to help you grow and manage your business online. Professional website design built on premium WordPress themes. Perfect for your business. Competitively priced, and launched in a little as three weeks. Ideal for businesses who primarily do business online and compete nationally. Expanding your online reach. Expand your online reach and capture a bigger audience. Packages starting from just $1197/mo. Ideal for businesses with actual physical locations that want to build their presence locally. Citation building, on page optimization and natural link building. Packages starting from just $747/mo. Plans for small or large budgets. Tailored to your business leveraging experience, creativity and technology. Landing Pages, PPC Campaigns & Remarketing. Packages starting from just $300/mo. Carefully written articles and Infographs based on keyword research to drive traffic, create value and content. Magazine type content, standard blog posts and more. Ideal for all types of businesses wanting to establish and maintain their social media presence. Unique content creation. Covers all the major Social Media channels. “Google “Jewelry buyers in Denver” & see where my site pops up…ok, I’ll tell you…ON PAGE 1 ! Already, just one week later, I’m on Page 1 !! 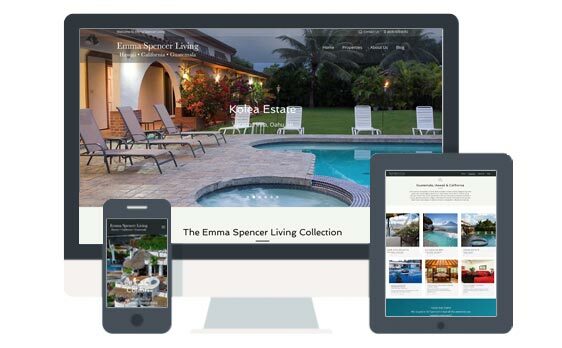 “Liz took our website, which was drab and uninteresting and transformed it in to a visually pleasing, informative and interesting destination. I have personally heard from consumers as well as our dealers about how much they like it now. I couldn’t be happier with it, and I look forward to working with Liz and making it even better going forward”. Join Our Other Satisfied Clients!